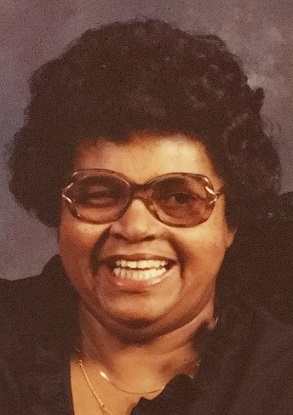 Obituary for Birdella Dunson | House of Wheat Funeral Home, Inc.
DUNSON, Mrs. Birdella (Rhodes), passed away October 17, 2018. She was born in Richmond, IN and a resident of Dayton for more than 60 years. She was employed at Wright-Patterson Air Force Base for more than 30 years. Birdella's kindness, friendliness and always positive attitude brought joy to everyone who was fortunate to know her. Preceded in death by her parents, Leonard and Eliza Rhodes; husband, Claude Dunson; brothers, Charles and Leonard Rhodes; nephew, James Phelps. She leaves to cherish her memory, her sister, Julia Phelps; son, Dr. Ronald (Charlyn) Motley; granddaughters, Melissa (Jared) Collins, Shailynn Motley; great granddaughter, Kailyn Collins; a host of relatives and friends. A celebration of Birdella’s life will be held 2 pm Friday, October 26, 2018 at the House of Wheat Funeral Home, Inc., 2107 N. Gettysburg Ave. Family will receive friends 1-2 pm. In lieu of flowers, memorials may be made to the American Diabetes Association. Special thanks to the staff at the Diversicare of Siena Woods extended care facility for all of their loving care which allowed Mrs. Dunson to live out her final years in comfort and dignity.